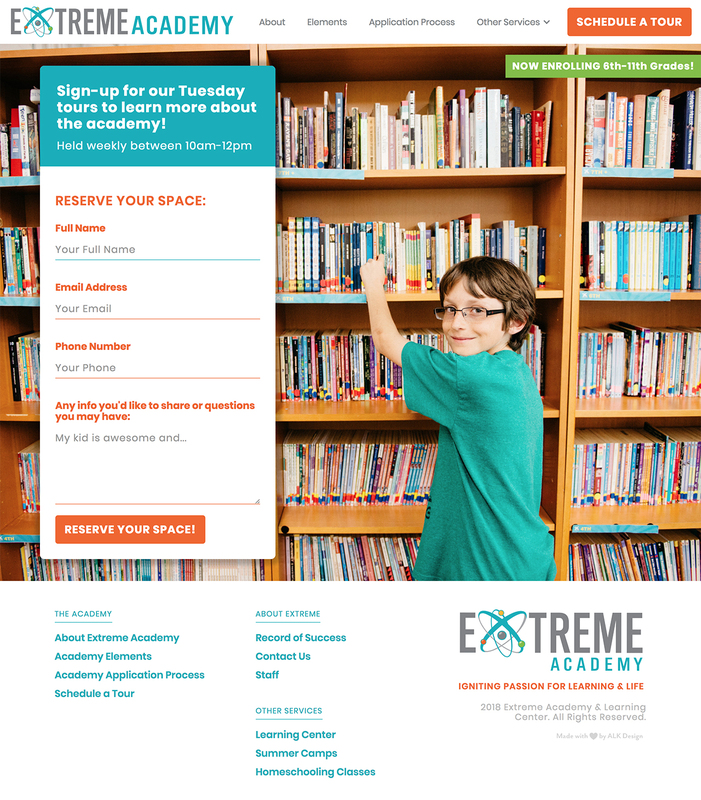 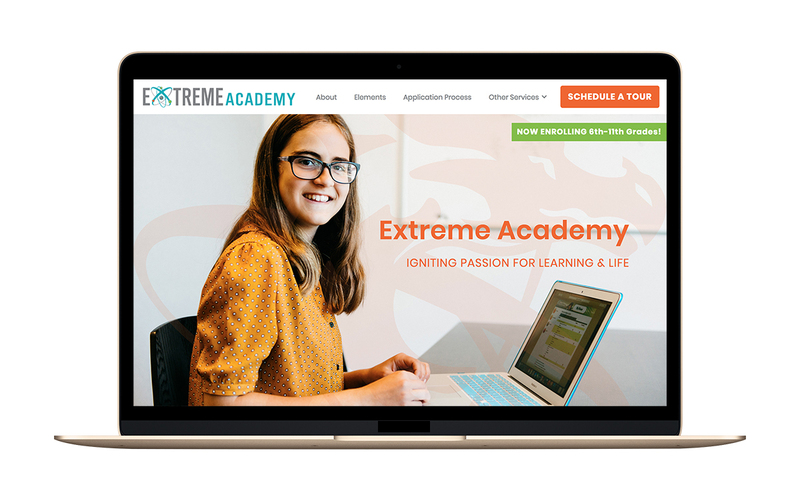 Extreme Academy is a private school in Morgan Hill that exists to serve students that thrive in a small environment, where learning is customized to fit their learning styles, skill sets, and interests. 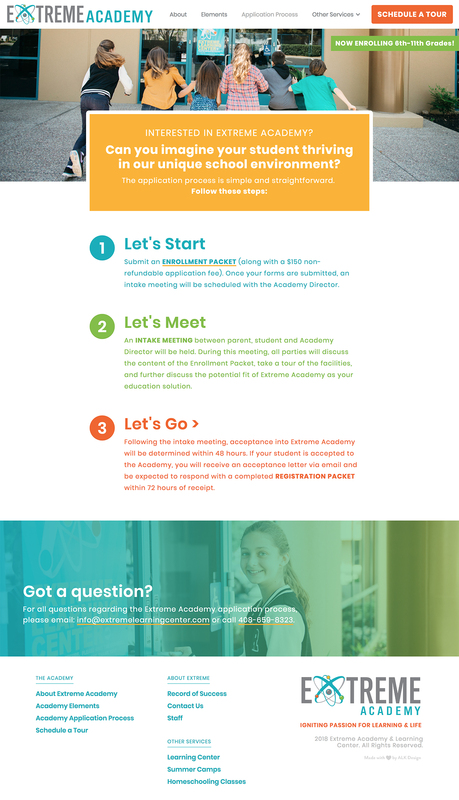 The Academy is one service of Extreme Academy & Learning Center. 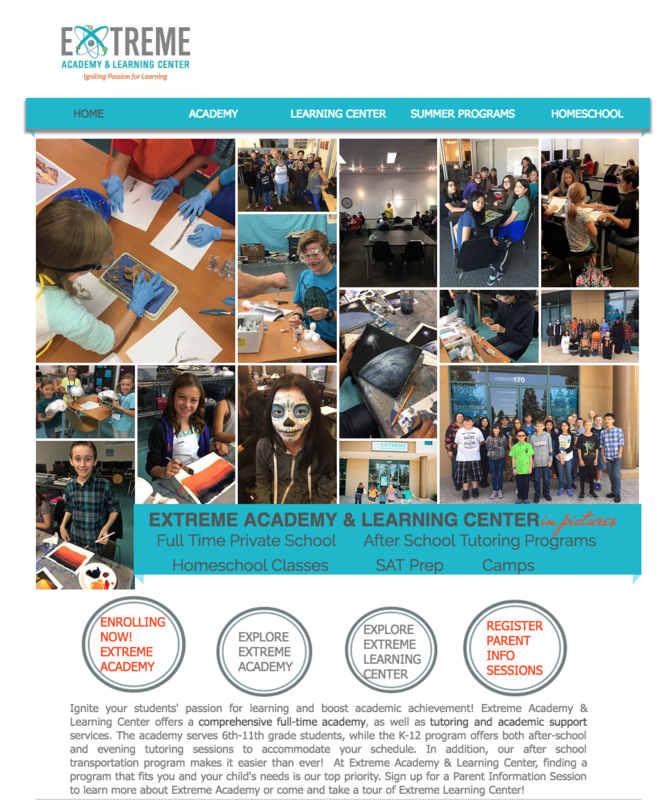 I also cleaned up the homepage of the main website.